It has been a great fall for Serenity Views. 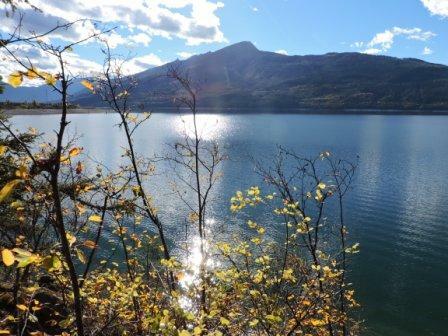 The Nakusp area is a beautiful part of the country to live in – especially when the leaves are changing colour in the fall. We are now preparing for the winter, and are eagerly awaiting our first snowfall!! So far, we have only had a skiff of snow which disappears quickly with our mild temperatures. The photo below shows our shoreline and the mountains in the distance which have some snow. The Village of Nakusp is looking very festive these days with businesses and street lights decorated for Christmas. 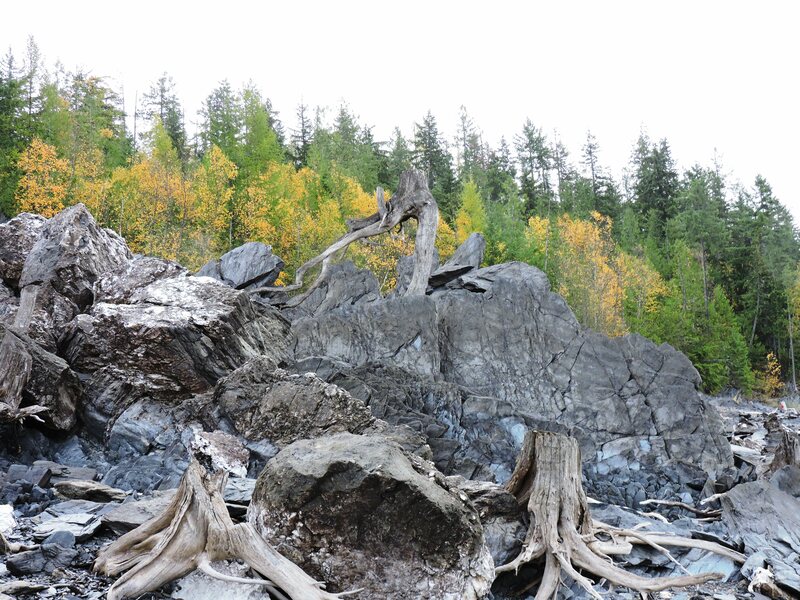 We have also been busy decorating at Serenity Views, and are so thankful to be living in the middle of a forest in B.C. where we have an endless supply of aromatic cedar boughs!! As well, the Studio Suite is looking festive with lights on the deck and holiday decorations inside. We are now accepting bookings for December and January, including Christmas and New Year’s. If you are thinking about getting away and would like a quiet, peaceful retreat, we would be pleased to accommodate you. We look forward to hearing from you! It appears that spring has arrived in Nakusp! The snow is gone and the trees and bushes are starting to bud out. It is wonderful hearing many different birds chirp in the forest. The ospreys have returned and are often seen gliding over the lake, and many different types of waterfowl have been spotted in the lake. The flowers in the picture below are growing in Spicer’s Garden, which is located on the waterfront promenade in Nakusp. The promenade provides great views of the lake and mountains, benches to relax on, and many plants and flowers growing from one end of the walkway to the other. 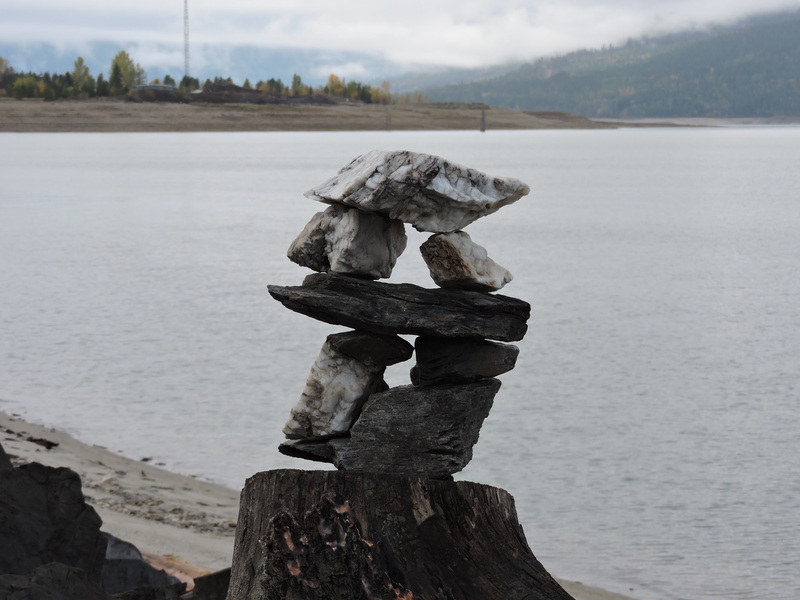 If you would like to experience the beauty of Nakusp, we invite you to stay at Serenity Views, and visit the many attractions in the area, including the waterfront promenade!